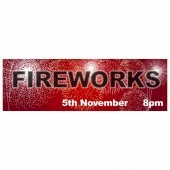 Fireworks night is a spectacular annual event, highly anticipated by many and a fantastic opportunity to put on a display to make or raise money. 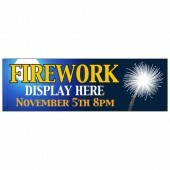 Discount Banners offers a great selection of pre-made Firework Banners. 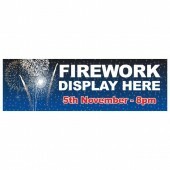 Out Firework Banners are printed on high quality weather resistant PVC and use eco-friendly, UV stable inks so you have a Firework Banner to survive all weathers and an excellent way to advertise your firework event or promotions. 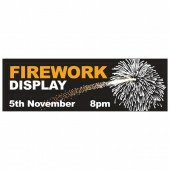 If you would like to adapt or personalise one of our Firework Banners please contact one of our advisors on 0844 800 1020. 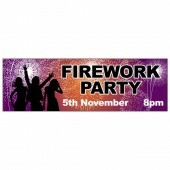 All Firework Banners are available in 8’x2’ or 10’x3’ depending on your requirements. Once your order has been placed you should receive your Firework Banner within 2-5 days.